We are pleased to welcome Tracy Wilson Peters, CLD, CLE, CCCE , to the Mother’s Advocate blog. Co-author of the soon-to-be released book, The Greatest Pregnancy Ever, Tracy has been a lifelong advocate for families and babies. Who are the people closest to you? Did you know that the people who are around you the most are influencing the personality and development of your baby? New science has shown that every relationship that you have impacts who your child will become. A mother’s feelings deeply affect her baby. In fact, the baby learns about his world by the feelings his mother has. When a mother has a feeling of happiness, this triggers a hormone release that the baby also feels. The same thing happens when a mother feels stress. Chronic stress is non-supportive for your health and your pregnancy. Hormones associated with depression and anxiety, such as cortisol, can reduce blood supply to the placenta and induce premature labor. So, who is in your life really matters! Pregnancy offers a great opportunity to take steps to decrease stress in your life. Emotions and attitudes are contagious. Every encounter that you have on a daily basis can be measured on a scale that goes from nourishing to toxic. Who are the people in your life that nourish you? Who are the people in your life that drain your energy? It may not be possible to eliminate all of the people in your life that cause you stress, but you can begin to create healthy boundaries by creating a circle of support. This circle should include people who are supportive and loving in their interactions with you. Your inner circle may or may not include family members. Your circle of support should be comprised of people who you can call on when you need help, have good listening skills, won’t judge you, and can offer you emotional support. This inner circle is a sacred place. Who in your life do you want to be in your circle of support? Is there someone that you have been allowing in your life that you need to step back from? It may help you to take a few minutes and make a list of the people that you interact with on a regular basis, including family members, friends, co-workers, and neighbors – anyone that you spend a significant amount of time with. Next think of each person holding your new baby. What feelings come up for you? Try to tune in to the feelings that come up during this visualization. Are changes needed? It’s OK to say no. There are moments when we say “yes” to others, and, in fact, we are saying “no” to ourselves. You can love someone and still keep them at a distance. Shifting who you surround yourself with does not mean judging others. Nobody has to be wrong for you to make decisions that are right for you. You can change your circle of influence and love those not in it from a distance. It’s not about being judgmental. It’s about being where you feel comfortable. You are your world, so if you change, the world changes. Mothers who foster a healthy internal relationship often have nourishing relationships with the people in their lives. You are at the center of your circle. You must take care of yourself, both physically and emotionally, in order to have healthy relationships with the people in your life. Taking time to love yourself will have a positive effect on everyone in your life. When you create healthy boundaries with the people in your life, you will be giving yourself and your child a great gift: the gift of self-love and the knowledge that you can move through your world making conscious decisions about who and what is right for you. Pregnancy is a time of change. Change isn’t always comfortable but it is a necessary part of life. Your new life with your baby will undoubtedly bring many changes in the relationships that you have. Your relationships will change because you will change. Becoming a mother will provide many opportunities for growth. As you move into motherhood trust your instincts. Surround yourself with people who lift you up and you will be able to give your very best YOU to your new baby. Married for over 19 years and mother to two amazing sons, Tracy’s experience raising her own children led her to a love for supporting expectant families. This passion encouraged her to found CAPPA, Childbirth and Postpartum Professionals Association. 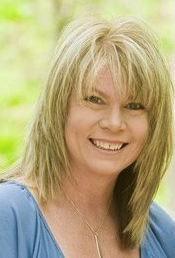 Tracy serves as both the CEO and as a faculty member for CAPPA. CAPPA is the largest childbirth organization in the world. Internationally known as a pregnancy expert, she has authored numerous articles, and appeared on many television networks, including FOX, CBS, and NBC. Tracy has worked with expectant women and families for nearly two decades, attending hundreds of births as a professional labor doula and teaching classes to more than 3000 families. 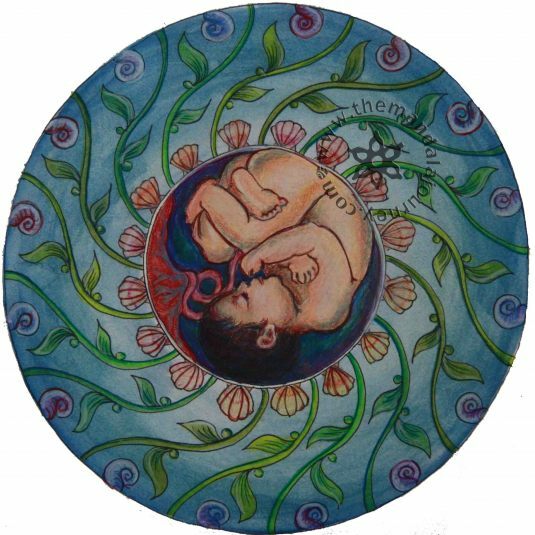 This week, Mother’s Advocate welcomes doula and artist Amy Swagman. She began making mandalas to prepare for the birth of her third daughter. Creating these pieces helped her to envision (and ultimately create) her ideal birth as well as meditate to prepare for labor. Since her daughter’s arrival the mandala project has broadened to draw from other women’s experiences of their births. Through her art she hopes to change the climate of birth from fear to empowerment and convey feminine energy. I like to say that my first daughter Haven, made me a mother which was as earth-shattering as any experience could be. My second daughter Lyric made me a doula and birth activist, and my third daughter Seren made me an artist. Each pregnancy and birth, all different in their own ways, gave me immeasurable gifts. When I became pregnant with Seren, I was surprised to find that even though we had planned for her I was feeling overwhelmed and unprepared. I did not expect that to happen with my third! I felt very trapped, helpless, and disconnected to my little babe. I took it out on my husband, who is so wonderful and patient. It was a very stressful few months. We were planning a much-wanted home birth but I felt like my emotions, fears, and anxiety were getting in the way. Counseling didn’t help. Talking to friends about it didn’t help. I needed something else to center me. Alahna said that the state of mind you’re in when you’re doing something creative (right brain) is the same state you’re in when laboring and birthing. Time flies by without you sensing it as acutely. You are very porous and intuitive. You aren’t as easily able to answer questions or communicate logically. To illustrate this she had us do a blind contour drawing. Without looking at the paper we had to draw all the lines, cracks, details in our opposite hand. After a few minutes of this Alahna came up to me and said, “Amy, what year is it?” I had absolutely no idea. The only thing running through my head was “Uhhhh, I should know the answer to this question!” Anyone who has given birth or attends a lot of births has seen this written all over a laboring mama’s face. So I decided to create a small mandala (image within a circle) every day during the last few months of my pregnancy to help me center, process, and prepare for my home birth. Each one would take anywhere from an hour to four hours, though I hardly noticed. I loved it. I craved it. There was so much solace in taking time for myself, doing something creative, getting lost in symmetry, turning off any worrisome thoughts. I created images based on what was going on in my head that day. As you can see, this image played out almost exactly in Seren’s birth! Creating artwork, getting into that free, meditative mindset, helped me have the beautiful, peaceful, gentle home birth I had wanted for so long. To read Seren’s birth story please visit my doula website here. Oftentimes I hear people say, “Oh I’m not an artist” or “I don’t know how to straight line.” Well that’s ok, that’s what rulers are for! The most important thing is to get involved in the creative process, not have a perfect-looking finished product. Birth art can be a powerful and surprising tool. You may discover aspects of your creativity that you haven’t tapped into or even realized yet! Sometimes starting out with a right-brained exercise (like the contour line exercise I mentioned before) can be a great way to start. Another one that I’ve found helpful is to start inside a pre-existing shape or pattern. Coloring books are great for this, and starting inside a shape like a circle or triangle can make things flow. You can divide up the shape into pie segments or concentric circles (like a bulls eye) and repeat your design around the circle keeping things symmetrical. You’d be surprised at how easily the image takes shape! For an example of this technique and symmetry you can visit my album here. • Polymer Clay (like Sculpey) – a great 3D medium as you don’t need a kiln to harden it, just your oven. A valuable resource is Pam England’s amazing book Birthing From Within and the accompanying workbook. In their pages you’ll find many prompts to help you process what kind of birth experience you want or work through any past birth trauma or preconceptions. • Create a birth “power figure”. What symbolizes strength for you? What are the attributes that this figure possesses? • What do you know about birth already? What have people told you? What was the first birth story you ever heard? What images come to mind? • How do you see your baby inside your womb? What do they see, taste, hear? Draw your reactions. Whether pre-conception, pregnancy, birth, or beyond, art is a powerful tool for any woman in the childbearing year. Tap into that creativity, you may be surprised what you learn about yourself! Amy Swagman resides in Denver, CO, with her husband Kyle and three beautiful girls. 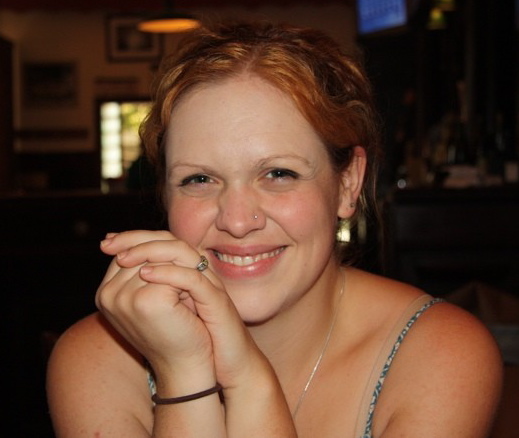 She is a birth doula and graduated with a BFA in Illustration in 2005. 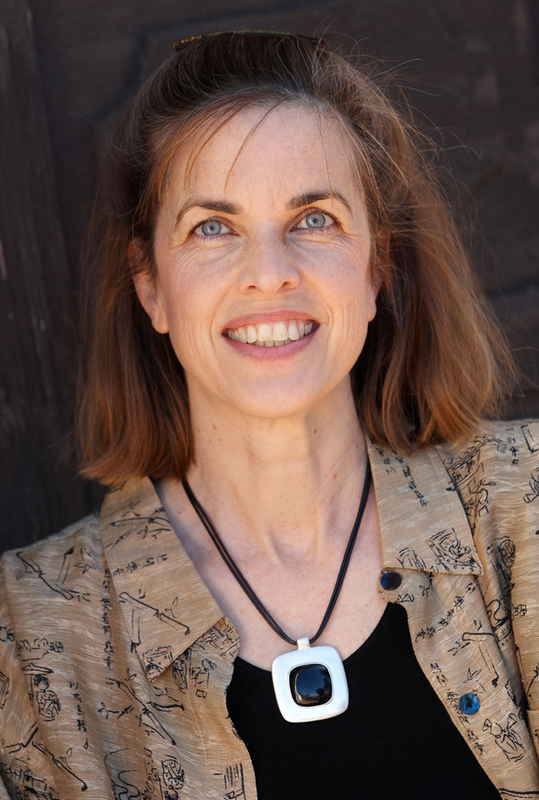 This week we are thrilled to feature Diana Lynn Barnes, Psy. D, with an excerpt from her book The Journey to Parenthood: Myths, Reality and What Really Matters where she discusses the importance of recognizing the psychological experience mothers go through during pregnancy and birth. Most women would not dream of going through nine months of pregnancy without the requisite prenatal care – regular doctors’ appointments, special vitamins, a well-balanced diet, and diagnostic tests to check on the health of the baby. Yet they do not devote nearly the same amount of time or attention, if any, to the psychological aspects of impending motherhood. They fail to recognize how this profound role they are about to assume will alter their lives forever. Typically, when a woman plans for life after pregnancy, she considers only her work and childcare arrangements. By the last trimester, she has probably already lined up a nanny or selected a day-care center, or at least thought about it. She also may have arranged for a more flexible work schedule in order to meet the demands of her new family life, which is just around the corner. But women generally do not take the time to reflect on the journey to motherhood, although they seem to have plenty of time to attend prenatal Pilates classes and register for the latest baby paraphernalia. They do not stop to ask themselves, “Am I ready to become a mother? What are my biggest fears regarding motherhood? What might it be like to stay at home alone with a newborn all day during those first few months? How can I begin to integrate and prioritize my different roles? And what does my relationship with my own mother have to do with any of this? Today much has been made of the “supermom” phenomenon, the pressure for a woman to achieve perfection in each of her roles – mother, wife and professional. As a result, many women approach motherhood n overdrive, believing they must “accomplish” something at every point along the path to parenthood. The ideal pregnancy is one in which a woman exercises such control over her body that she does not need to wear maternity clothes until her eighth month. The gold standard for labor and delivery is a quick, easy, epidural-free birth. And the model for new motherhood is a woman who immediately bonds with her newborn, has no difficulties breastfeeding and knows exactly how to interpret every one of her baby’s coos and cries. During the first few months postpartum, the perfect new mom nurtures her child in such a way that he is the first kid on the block to roll over, walk, talk and hum along with Bach’s Prelude in D Minor. This accomplishment-focused mother is so busy trying to achieve what she considers to be the essential goals of motherhood, that it is no wonder she is left with no time to contemplate what being a mother means in the context of her own personal universe. And that self-analysis can be crucial as a woman attempts to navigate the postpartum period and life with an infant. Throughout the transition to motherhood, a woman may ponder the question, “Who am I?” as she tries to incorporate the unfamiliar role of mother into her identity. An expectant mother’s changing view of herself is just one of the many things that can affect her adjustment during this transition. Others include the degree to which she desires to become a mom, her earliest childhood experiences with her own mother, her general reflections of family life, and her relationship with her husband or partner. The extent to which she buys into societal expectations regarding motherhood also influences how she will experience the shift to her colossal new role. Pregnancy and birth can trigger a flood of memories for an expectant mother about her own upbringing and, in the process, reveal a wealth of information about her relationship with her own mother. All of a sudden, a woman may recall how supportive her own mother was, what her mother sacrificed for her, or how her mother attended every one of her sporting events. A new or expectant mother may also face painful or sad memories, instances when her on mom somehow failed her, constantly criticized her or disappointed her. A woman uses these experiences, both positive and negative, to start to define what type of mother she would like to be. She determines how she wants to be like her own mother and how she would like to be different. This evaluation becomes part of the foundation for her ideas about motherhood. 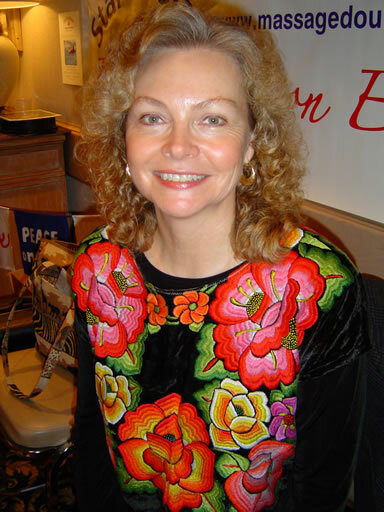 Diana Lynn Barnes, is an internationally recognized expert on the assessment and treatment of women’s mental health, particularly around concerns pertaining to the reproductive years. She is the past president of Postpartum Support International and currently sits on the President’s Advisory Council for that organization. She is also a member of the Los Angeles County Mental Health Task Force. 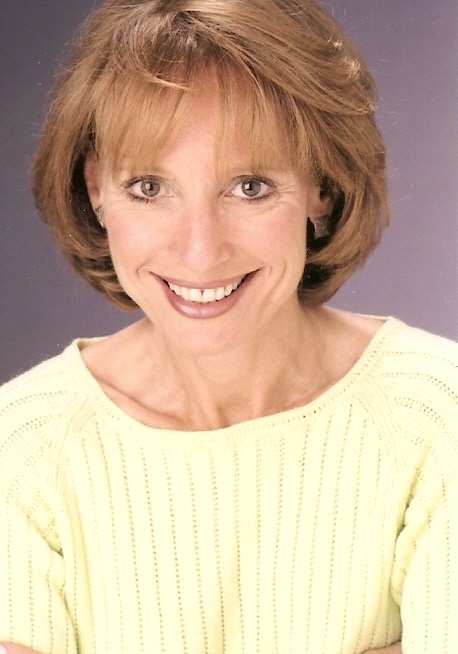 Dr. Linda F. Palmer is an author and speaker specializing in nutrition of pregnancy, lactation, and childhood, and in infant health and bonding. She joins the Mother’s Advocate blog this week to discuss the many benefits of natural labor. Natural labor is not simply something for mothers to endure; the process provides key mental and physical benefits for mother and baby. When not interfered with, natural labor helps to protect the fetal brain, prepare his lungs, and build his immune system. When uninterrupted, hormonal interplays provide imprinting and attachment between mother and baby, protect mother’s mood, and initiate instinctual parenting behaviors. Oxytocin is a feel-good, bonding hormone that acts throughout our lives in response to togetherness and especially to skin-to-skin contact. Oxytocin’s strongest employ by far is during and immediately after birth. Its release during labor provides the contractions needed to expel the baby. As mother’s body feels the vaginal passage of the child, further oxytocin surges are stimulated and much higher levels now remain in the brain. This exceptionally high brain oxytocin just after birth provides for a powerful imprinting between mother and newborn as they smell each other and gaze into each others eyes. Remaining quite high in the brain for an hour or more after birth, oxytocin provides mother and baby with feelings of trust, calm, and well being, while also causing a little impairment in memory so they forget some of the discomfort experienced. When not impaired, this hormonal high also sets the stage for successful initiation of breastfeeding. The first nursing attempts then lead to continued oxytocin release. When occurring shortly after birth, this serves to help shrink the uterus, preventing hemorrhage. This entire oxytocin experience acts in mother’s brain to initiate affectionate maternal behaviors,[2,3] helping first attempts at nursing to feel quite natural and teaching mom to want nothing more than to hold her baby and respond to his cries. While brain changes occur during pregnancy and in response to later physical contact, especially nursing, this post-birth window created by natural labor leads to some valuable reorganizing of receptors in mother’s oxytocin and stress responding portions of her brain. High oxytocin in the female brain has also been shown to promote preference for whatever male is present during its surges, (one good reason for dad to hang around after the birth). Pitocin is an imitation oxytocin used to induce or enhance labor. This synthetic agent does not cross mother’s blood-brain-barrier and hence artificially induced mothers miss out on a large part of oxytocin’s bonding, calming, mood elevating and amnesic benefits. If anesthesia is used during labor, there is no maternal oxytocin response to the vaginal passage, hence the mother misses the rest of her opportunity for the beneficial brain effects, and her maternal behaviors are not naturally switched on. Cesarean section without labor fails to produce any of this extraordinary oxytocin experience, while labor before C-section provides a portion. When a baby is born highly drugged, he is less able to partake from the oxytocin-provided benefits of calming, bonding, and drive to breastfeed. Many other hormonal interplays occur during labor, and most are affected by interventions in the natural process. Endorphins, the body’s own natural pain reducers, increase steadily throughout natural labor, however, use of Pitocin prevents their increase. Maternal stress during labor, generally caused by a lack of continual, compassionate maternal support, causes heightened release of stress hormones. This alters mother’s stress handling for some time and raises inflammatory factors associated with the development of postpartum depression. Mother’s oxytocin crosses the placenta into the fetal brain during labor, silencing the brain so the child is less stressed by the birth process. In addition, the brain is made to be less vulnerable to damage from periods of reduced oxygen or blood sugar. Even if Pitocin can enter the fetal brain as well, any natural regulation of appropriate levels would be absent. It is known that excess uterine stimulation typically seen with Pitocin use creates dangerous episodes of oxygen depletion in the fetal brain. Maternal protection of the fetal brain is not bestowed by Cesarean delivery without labor. [14,15] Mother’s body also supplies very important sugar to baby’s brain during labor. This provision is often impaired, however, when mothers are restricted from food and liquid intake during the birth process. Baby receives certain antibodies from mother during the last term weeks in the womb but the majority of this transfer occurs during labor. The lack of antibody transfer may be one factor in the reality that infants born via low-risk elective cesareans have a tripled death rate in the first month of life, versus vaginal births, though the lower success in breastfeeding after Cesarean is likely a larger factor. The hormonal changes of natural labor help to quickly clear fluids from the fetal lungs through a process of absorbing fluids out of the lungs, along with some mechanical clearing from the contractions themselves. When labor is artificially induced, infants suffer from breathing distress more than twice as often as with spontaneous labor. In Cesarean section without labor, an infant is 4 times as likely to suffer respiratory distress. [19-20] This impact on the lungs is evidently long lasting as babies born via C-section are shown to suffer from allergies twice as often as those delivered vaginally. All is not lost if the birth process does not go entirely as planned, yet birth choices affect a momentous first chance for attachment and breastfeeding success. Natural delivery determines a major cornerstone in preventing infant illness, while boosting mother’s parenting satisfaction. A child is born seeded with specific potential (nature), yet parenting choices (nurture) will greatly influence whether these latent abilities will come to fruition. 1. K.M. Kendrick et al., “Cerebrospinal fluid and plasma concentrations of oxytocin and vasopressin during parturition and vaginocervical stimulation in the sheep,” Brain Res Bull 26, no. 5 (May 1991): 803-7. 2. G. González –Mariscal et al., “Importance of mother/young contact at parturition and across lactation for the expression of maternal behavior in rabbits,” Dev Psychobiol 32, no. 2 (Mar 1998): 101-11. 3. J.A. Russell et al., “Brain preparations for maternity–adaptive changes in behavioral and neuroendocrine systems during pregnancy and lactation, an overview,” Prog Brain Res (2001): 133-38. 4. T.R. Insel and T.J. Hulihan, “A gender-specific mechanism for pair bonding: oxytocin and partner preference formation in monogamous voles,” Behav Neurosci 109, no. 4 (Aug 1995): 782–9. 5. F. Lévy et al., “Intracerebral oxytocin is important for the onset of maternal behavior in inexperienced ewes delivered under peridural anesthesia,” Behav Neurosci 106, no. 2 (Apr 1992): 427-32. 6. J.E. Swain et al., “Maternal brain response to own baby-cry is affected by cesarean section delivery,” J Child Psychol Psychiatry 49, no. 10 (Oct 2008): 1042-52. 7. H.J. Rowe-Murray and J.R. Fisher, “Operative intervention in delivery is associated with compromised early mother-infant interaction,” BJOG 108, no. 10 (Oct 2001): 1068-75. 8. K.D. Scott et al., “The obstetrical and postpartum benefits of continuous support during childbirth,” J Womens Health Gend Based Med 8, no. 10 (Dec 1999): 1257-64. 9. I.D. Neumann, “Stimuli and consequences of dendritic release of oxytocin within the brain,” Biochem Soc Trans 35, Pt. 5 (Nov 2007): 1252-7. 10. E. Nissen et al., “Different patterns of oxytocin, prolactin but not cortisol release during breastfeeding in women delivered by caesarean section or by the vaginal route,” Early Hum Dev (Sweden) 45, nos. 1–2 (Jul 1996): 103–18. 11. E. Nissen et al., “Oxytocin, prolactin, milk production and their relationship with personality traits in women after vaginal delivery or Cesarean section,” J Psychosom Obstet Gynaecol (Sweden) 19, no. 1 (Mar 1998): 49–58. 12. A.R. Genazzani et al., “Lack of beta-endorphin plasma level rise in oxytocin-induced labor,” Gynecol Obstet Invest 19, no. 3 (1985):130-4. 13. K. Kendall-Tackett, “A new paradigm for depression in new mothers: the central role of inflammation and how breastfeeding and anti-inflammatory treatments protect maternal mental health,” Int Breastfeed J 2 (Mar 30, 2007): 6. 14. R. Tyzio et al., “Maternal oxytocin triggers a transient inhibitory switch in GABA signaling in the fetal brain during delivery,” Science 314, no. 5806 (Dec 2006): 1788-92. 15. R. Khazipov et al., “Effects of oxytocin on GABA signalling in the foetal brain during delivery,” Prog Brain Res 170 (2008): 243-57. 16. S. Agrawal et al., “Comparative study of immunoglobulin G and immunoglobulin M among neonates in caesarean section and vaginal delivery,” J Indian Med Assoc 94, no. 2 (Feb 1996): 43–4. 17. M.F. MacDorman, “Infant and neonatal mortality for primary cesarean and vaginal births to women with ‘no indicated risk,’ United States, 1998-2001 birth cohorts,” Birth 33, no. 3 (Sep 2006): 175-82. 18. J. Lee et al., “Evidence to support that spontaneous preterm labor is adaptive in nature: neonatal RDS is more common in “indicated” than in “spontaneous” preterm birth,” J Perinat Med 37, no. 1 (2009): 53-8. 19. A. Ramachandrappa and L. Jain, “Elective cesarean section: its impact on neonatal respiratory outcome,” Clin Perinatol 35, no. 2 (Jun 2008)::373-93, vii. 20. S. Farchi et al., “Neonatal respiratory morbidity and mode of delivery in a population-based study of low-risk pregnancies,” Acta Obstet Gynecol Scand 88, no. 6 (2009): 729-32. 21. M. Pistiner et al., “Birth by cesarean section, allergic rhinitis, and allergic sensitization among children with a parental history of atopy,” J Allergy Clin Immunol 122, no. 2 (Aug 2008): 274-9. Dr. Linda Folden Palmer is an author and speaker specializing in nutrition of pregnancy, lactation, and childhood, and in infant health and bonding. She is dedicated to raising awareness about how powerfully early parenting and healthcare choices can influence a child’s mental and physical outcomes. 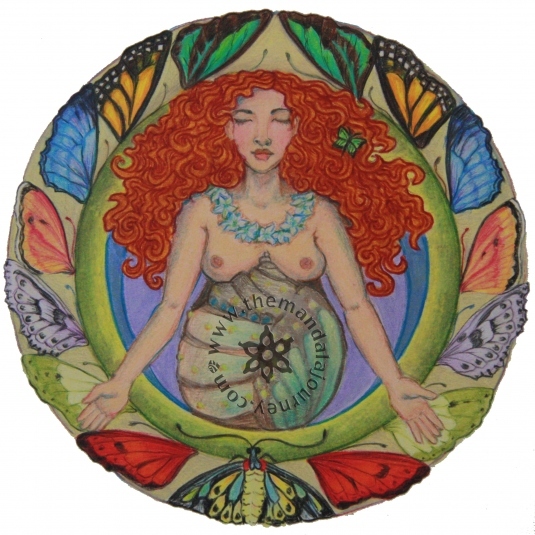 This week we are thrilled to feature licensed midwife Maria Iorillo as she discusses the transformative power of birth. When I became a professional midwife 23 years ago I had an idealized version of transformation and how wonderful birth is. I just thought that birth was groovy and becoming a midwife was a wonderful way to change people’s lives. I didn’t have much experience with midwifery and hadn’t had a child then, either. 23 years later, I think I can finally answer that question based on what I’ve seen – it’s no longer just a philosophy. I’ve seen it over and over again, women and their partners are telling me the same words after they have a really good, satisfying and empowering birth experience. They say, “that was the most incredible moment of my life”, “that was the most powerful moment of my life”, “I feel so different”, “I feel so changed”, “I never knew that I was so strong, I never knew that I could do that”. I will also say that someone asked me recently to describe my birth philosophy. It was a great question. My birth philosophy is simply that women deserve to birth with respect and kindness and honoring. The baby has the right to be born gently. I believe that this kind of birth support is what allows transformation to take place. If you encourage each women to honor her own unique experience of birthing – then birthing is the teacher. We don’t have to add anything to that. Just honor birth for what it is. That’s where we learn about ourselves, that’s where we learn about our partners, that’s where we learn about our community, we learn about our babies. You learn so much just being in the process. Just being present in it. Maria Iorillo, Licensed Midwife Catching babies at home and assisting hospital births in the San Francisco Bay Area since 1986. This is an excerpt from an interview conducted by Mindful Mama and is re-printed with permission from Mindful Mama. There are several cultures where childbirth is understood to be a rite of passage. Beliefs surrounding this transformation are important because they inform the way in which women give birth. The first culture that jumps to mind would be the Kung of the Kalahari Desert, where young men and women practice rituals that bring them into adulthood. The most significant right of passage for the Kung men is to hunt and kill their first large animal. For women, the right of passage is giving birth. The Kung is a very subtle tribe who don’t honor bragging. For example if a young man comes back from a hunt and boasts about making the big kill they will be ignored. Instead they will quietly start passing out meat, indicating that they accomplished this feat. For women to gain the same kind of honor, they go off on their own to give birth in the bush without saying anything to anyone. Once the child is born, they very quietly come back and start nursing their baby under a tree. At this point everyone notices and comes by to congratulate her. She is then honored for her stoicism and her warrior like abilities in her right of passage. Another great example is Japan. Most births still take place in the hospital, however there are maternity homes with live-in midwives where women go for pre-natal care and birth. The Japanese and the midwives who work in these maternity homes have a specific saying about labor pain; they call it “metamorphic”. They say that going through labor is a metamorphosis because it changes the woman into a mother the way that crawling out of the cocoon changes the caterpillar into a butterfly. They adhere to an old story that states if you help the caterpillar out of its cocoon it will die. It has to emerge by itself in order to survive and to be strong. Japanese midwives approach birth with great patience. They believe that the struggle and pain of labor helps the mother to grow and transform herself. The mother must look deep down inside herself and find out who she is. The baby also needs the struggle of being born; the work is what transforms both the mother and the baby into separate beings with the power and the strength to go on and to be the mother-baby pair that they need to be. The babies muscles will get exercised during birth which will prepare the baby to be ready to breastfeed. This will also enable the baby to be aware of the smells and hormones needed to latch on. If it’s born by cesarean section for example or if there are drugs at birth the baby’s consciousness will be reduced as well as the flow of necessary hormones. The mother’s metamorphosis releases massive doses of oxytocin while she’s in early labor. Late in labor a flush of adrenaline gets her on a high and gives her the power and strength to push the baby out. Right after this stage comes another flush – the biggest flush of oxytocin she’ll ever get in her entire life. This will transform her and the moment of suffering, pain and pushing. If you watch women’s faces at this moment there’s a suffusion of joy and ecstasy in their expression. Then the milk lets down, the prolactin comes and the hormones all work together to make the caterpillar turn into the most beautiful butterfly. This excerpt is part of a video interview with Robbie Davis-Floyd and is being re-published with permission from Mindful Mama.